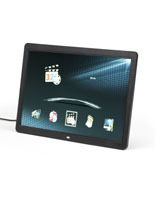 21.5" LCD has slim design as well as bright LED backlighting to display pictures. Built-in "plug and play" ad player to immediately play images, videos, and audio on the device. 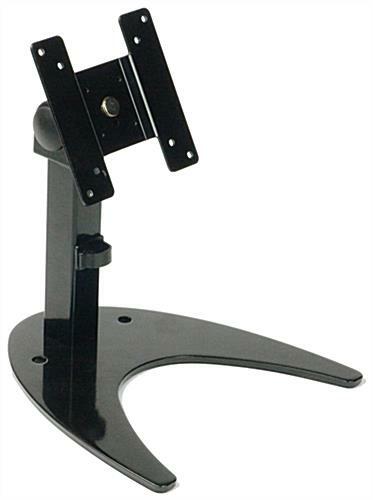 Black steel desktop monitor stand has a 90° tilt. 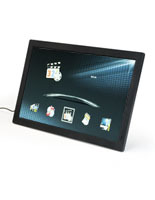 This digital photo frame display includes the countertop stand and electronic device for immediate setup. 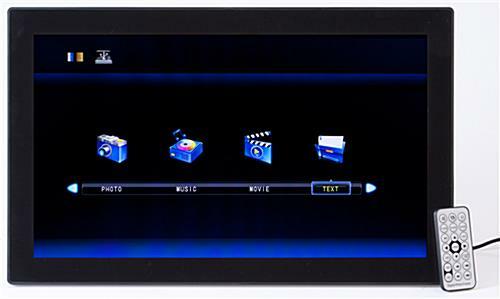 The dynamic media display can be used in a variety of environments such as an electronic menu board in restaurants, in hotel lobbies as a directory guide, or an advertising tool in retail stores. 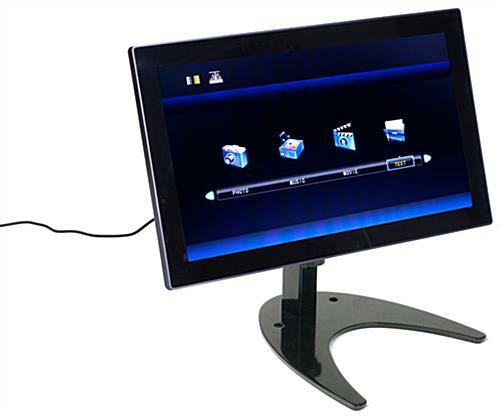 The digital photo frame display, called a point of sale accessory, will grab customers attention through a slideshow with random transitions of images, video, and audio files. This advanced technology screen has LED backlighting to brightly show a picture. A digital photo frame display, that is a great point of purchase tool, also has a high resolution frame to deliver sharp photography to patrons and users. This digital signage unit has a 90° tilt that easily rotates between a vertical and horizontal orientation. Each digital photo frame display, for tabletops, is easy to set up and use immediately when delivered. 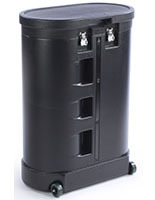 These specific pedestals are ideal for travel and corporate events because of their light weight and small size. 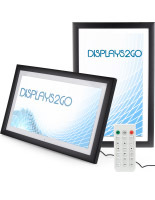 The digital photo frame display, for eye-level viewing, can be used to show images to customers of products inside a retail store or during a trade show event. 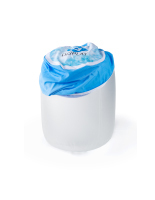 This unit is effective as an advertising tool in all types of business atmospheres! 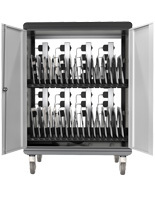 Each POS tool, digital photo frame display, includes a tilting bracket for adjusting the viewing angle for customers. 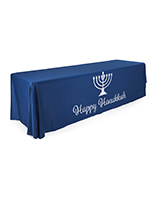 The countertop stand adjusts at a 90° angle. This digital photo frame display, that is for retail settings, has many playback options where users can create customer slideshows or use the free template software to design a personalized presentation. After completing a slideshow design, these electronic pictures can be placed almost anywhere in an environment. This particular digital photo frame display, that is used for images, video, and audio files, are perfect for counter and table tops inside a commercial establishment. 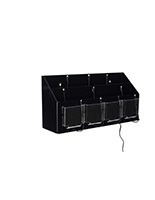 Purchase one these advertising fixtures with amazing features for your establishment today! 21.3" x 13.0" x 5.5"
8.625" x 9.3" x 9.25"